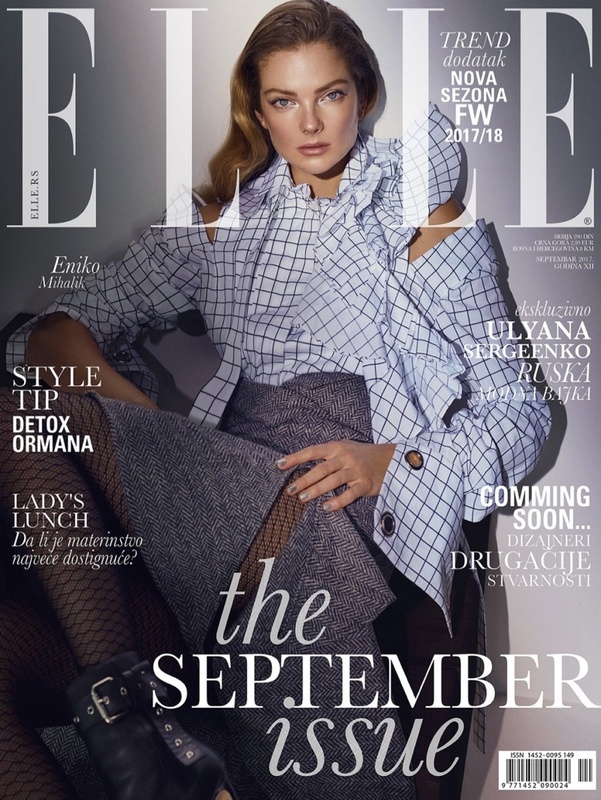 Eniko Mihalik is a vision of pure elegance on the September 2017 cover of ELLE Serbia. Photographed by Greg Swales, the blonde beauty wears a windowpane print shirt and grey skirt from Monse. In the accompanying spread, Eniko wears sophisticated styles from the fall collections. Stylist Arnold Milfort dresses the Hungarian beauty in fashion from Dolce & Gabbana, 3.1 Phillip Lim, Michael Kors and more.